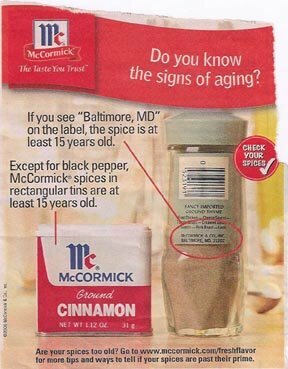 Stephanie found this great advert in the local newspaper, which explains how you would know if your spices were 15 years older or more. But that didn't stop me from moving that stuff to Yonkers! We did a big throw-out of those square tins-- had about 5 or 6 of them!